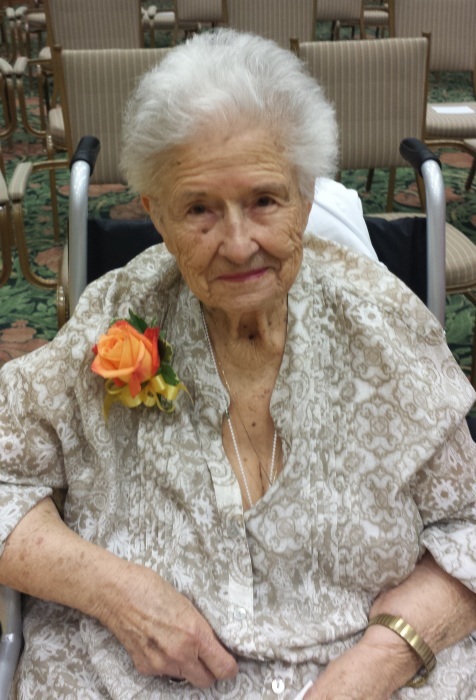 Lillian Chavis Flood, 94, passed away Wednesday, July 25, 2018 at Stone Creek Health and Rehabilitation in Asheville, NC. Lillian was born the oldest of 9 children to the late George Robbie Chavis and Ethel Josephine Ryan Chavis in Orangeburg, SC. She is also preceded in death by her husband, Edward Heyward Flood; son, Edward Heyward Flood Jr.; 2 brothers, and 1 sister. Lillian loved playing Bingo and was a huge Atlanta Braves fan. Surviving Lillian is her daughter-in-law, Patricia Flood, of Asheville, NC; grandchildren, Sharon Ray, and husband, Ronnie, of Fletcher, NC, Tracy Dotson, and husband, Barry, of Black Mountain, NC; Bill Flood, and wife, Leah, of Charlotte, NC, 3 sisters, two brothers, 10 great grandchildren, and 11 great-great grandchildren. A memorial service will be held at 12:00PM on Friday, August 3, 2018 at the chapel at Givens Estates in Asheville, NC. In lieu of flowers donations can be made to Givens Estates Assisted Living.